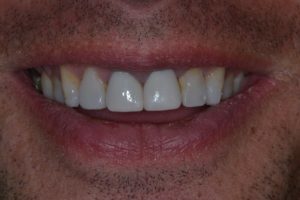 Changing the appearance of one’s smile can be a scary undertaking for a new patient. Patients often have many concerns before deciding to change their smiles, for example: “Are the changes to my smile going to compliment my facial features? 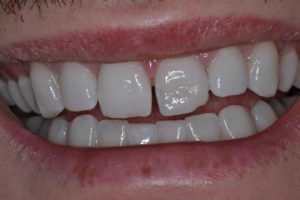 Is it expensive to change my smile? 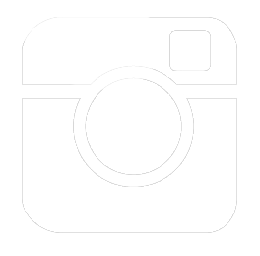 Does the dentist need to drill my teeth down to be able to change my smile?” The Goldstein Dental Center aims to address each of a patient’s concerns during pre-procedure consultations. 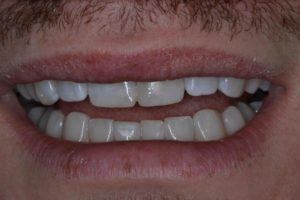 Although cases vary in complexity, usually a patient can preview their smile makeover in just one day and without any drilling, through use of a modern dentistry computer program. The Goldstein Dental Center uses a computer program that allows patients to see what changes to their smile would look like on a digitized image of their face. 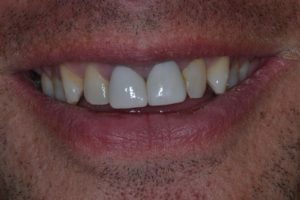 If a patient prefers to see their new smile in person, the dentist can do a temporary mockup of the new smile on existing teeth without ever touching a drill, or making permanent changes. These important tools help the patient and dentist, respectively, decide if they wish to go through with treatment and the best option for that particular patient. In some cases, a smile makeover can be as easy as treating just one or two teeth!